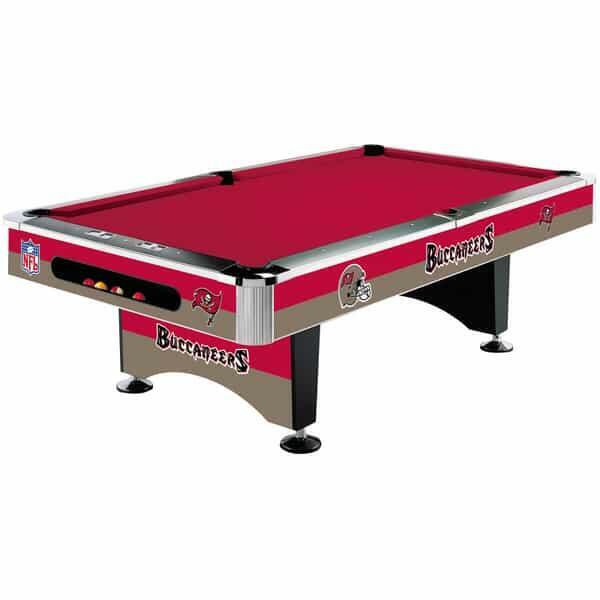 Whether you have an old-school game room dripping in red, black, pewter and white, with a touch of Florida orange, or are planning a brand new man cave to watch your favorite team on Sundays, the Tampa Bay Buccaneers Pool Table from Imperial Billiards and Family Leisure is an excellent centerpiece to consider. This NFL pool table is officially sanctioned and offers the team colors and logo that will look flawless in any space. Watch the Bucs destroy the competition on television while you destroy the competition in a friendly game of billiards. So regardless if you're a fanatic from back in the days of Buccaneer Bruce or recently started waving the Skulls and Swords, the Bucs Pool Table is just waiting to board your deck!